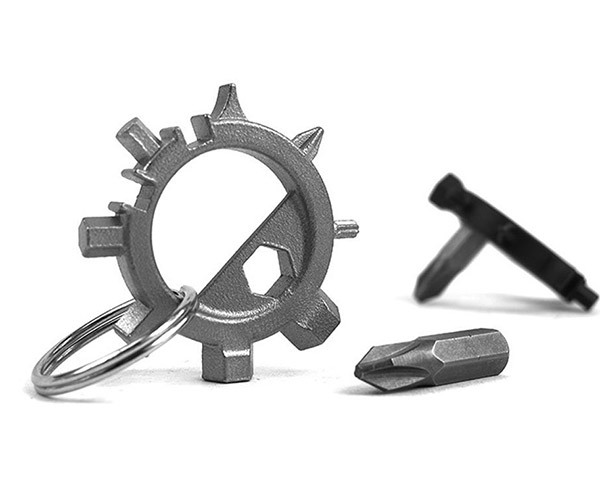 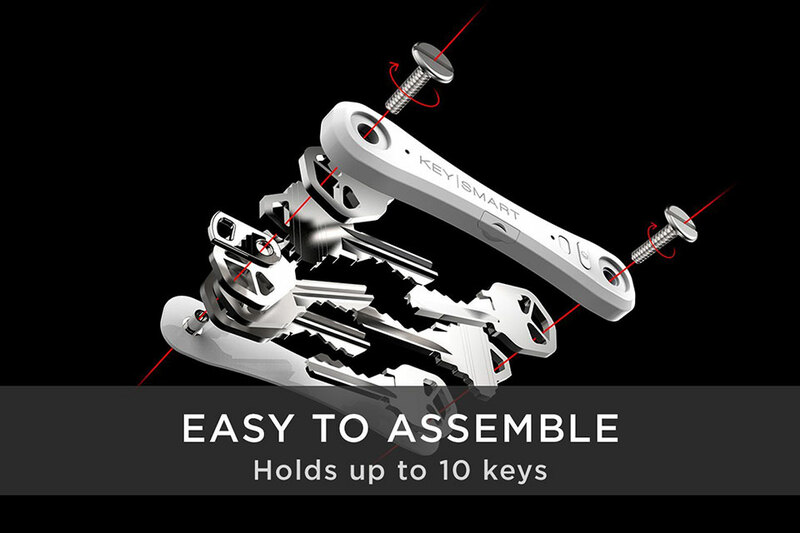 The most advanced version of the KeySmart key holder. 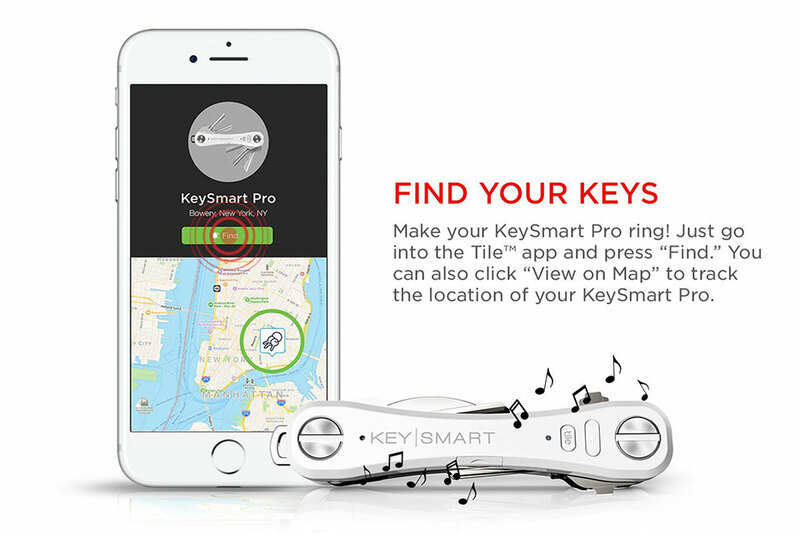 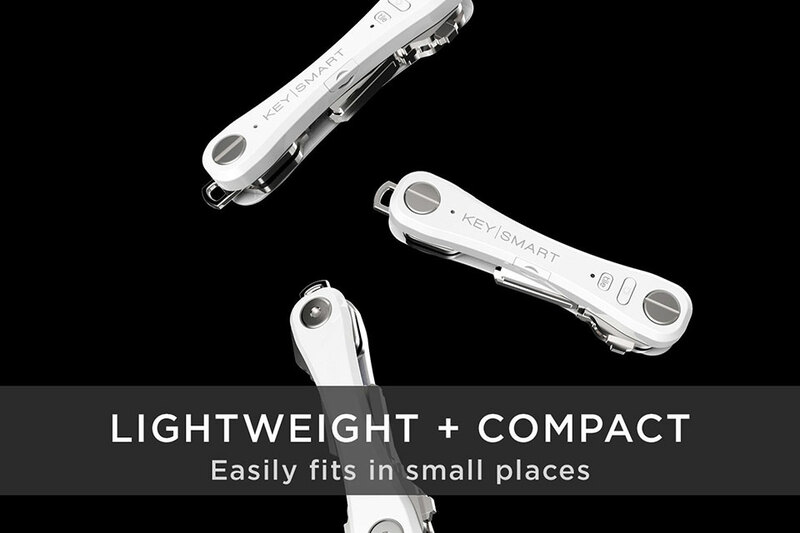 The KeySmart Pro has a built-in Tile Bluetooth tracker, so you can easily find it with your mobile device. 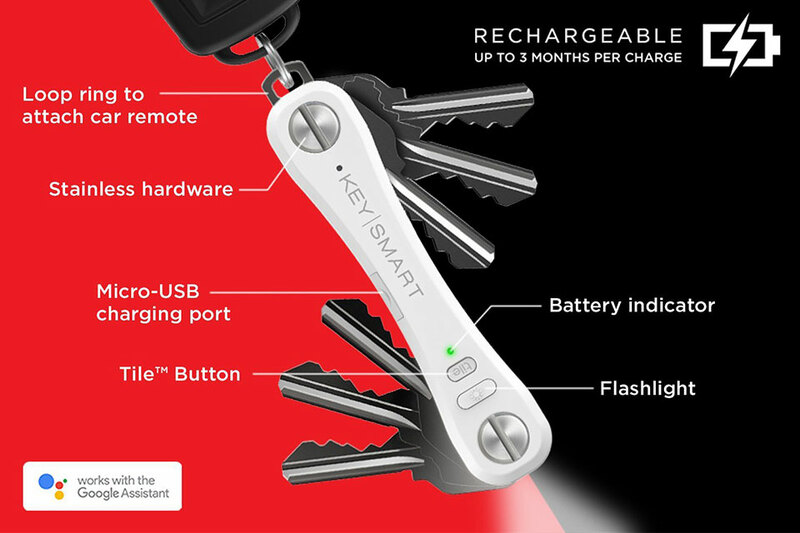 It holds up to 10 keys and has a key ring for car remotes, an LED light and a bottle opener.